NOVOTEL Hotel Kuala Lumpur City Centre?s ?Selera Malaysia? buffet at The Square restaurant features a good balance of dishes. 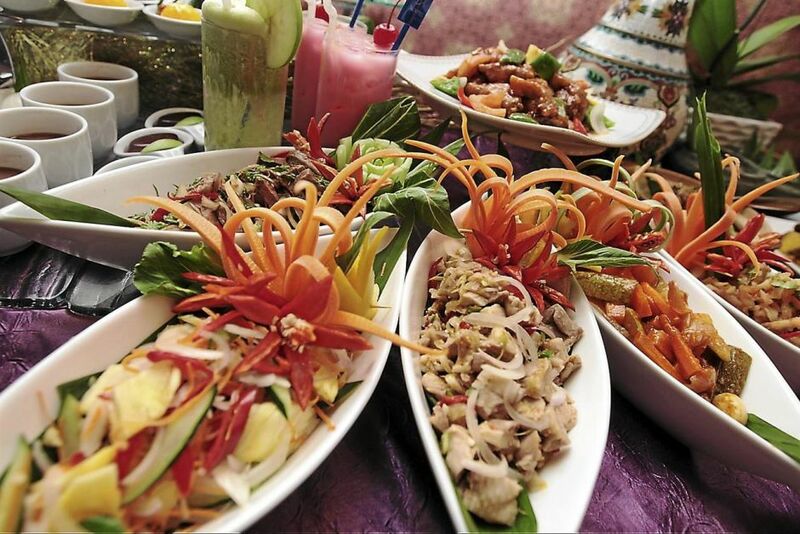 In keeping with its Malaysian cuisine theme, there are Malay staples such as satay, and the requisite kerabu, and a lot of Chinese and Indian dishes, as well as state specialities. Rotated between three sets of 80 dishes, there are certain food items which will remain mainstays, such as bubur lambuk, dates, ulam and kerabu. From the ?Live Corner? section, diners can try out the ikan bakar, usually kembung, pari or siakap, wrapped in pandan or banana leaves and grilled to order. They are rolled in a potpourri of spices, including ginger and lemongrass, for six hours prior to the buffet. The fish might be a tad spicy for some, as this writer needed a few extra paper napkins after unwrapping one but it was certainly tasty. The ayam percik is based on a home-made recipe, according to executive chef Huzaidy Samson, who is overseeing the ?Selera Malaysia? promotion. ?We have various spices for the spice paste portion of the chicken. Cinnamon, cloves, star anise and candlenut are traditional spices for ayam percik,? said Huzaidy, who started off as a pastry chef. Chef Huzaidy learned Italian and Mexican cuisine before turning his talents to Arabic cuisine, and worked in Dubai for over a year. All in all, the ?Live Corner? section boasts about six to seven stations, some serving mainstays such as satay and roti John as well as a fritter station for goreng pisang, yam and jackfruit. There is also a whole lamb tandoori and dim sum station in the ?Live Corner?. The Chinese-style Butter Prawns were a delight to crunch on, with a sweetish-savoury gravy and fresh and firm flesh. Diners should try the Sweet Pumpkin with Tapioca Shoots. The pumpkin was cooked just right and was soft enough without being mushy. It went well with the young leaves. If one?s taste leans towards cuisine from the sub-continent, there is both mutton masala and varuval dishes. Street food can also be found, with dishes such as Penang Pasembor and Malacca Fish Pindang, among others. To settle everything down with dessert, there is a selection of about 10 types of Malay kuih, for each day, along with the usual assorted pudding and slices of fresh fruit. Don?t miss Chef Huzaidy?s cendol. While there was no gula Melaka, they had improvised the recipe by sweetening the santan. Priced at RM90 and RM60 (both nett) for adults and children respectively, ?Selera Malaysia? is available at the restaurant until Aug 4, from 6.30pm to 9.30pm onwards.